Went in to the wonderful Soho Radio on Wednesday morning to talk about my London Overground film with Ben Ramble and Holly Horne on their show Free Seed on Soho. It was a suitably rambling chat (you can listen to the entire episode above) where I went on about YouTube for too long, but then it is integral to my development as a film-maker and also as a writer. I’d also recently realised that I’ve been on YouTube for 10 years now which is a bit of a landmark when you consider that the platform is just over 10 years old itself. 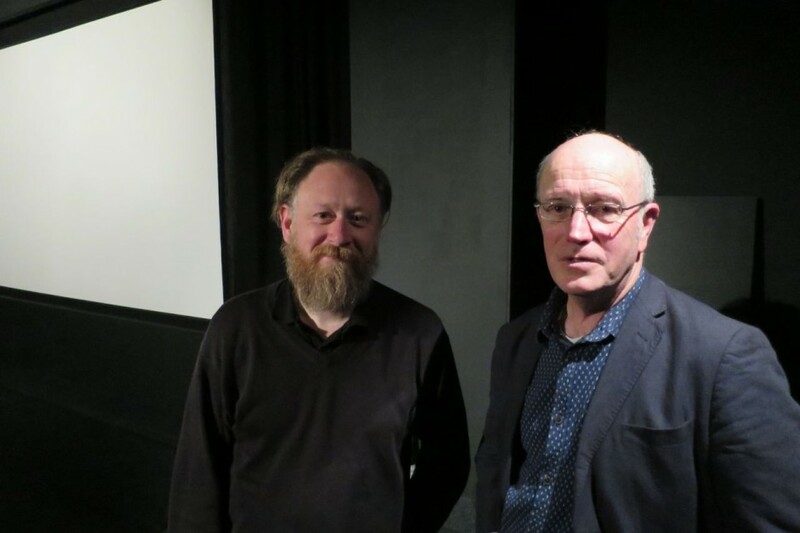 We touched on the work-in-progress screening at Close-Up the week before where we screened 20 minutes of footage and discussed the film and book with Iain Sinclair. The morning after the Close-Up screening I went out to do one of the final shoots with Iain picking up the Overground trail at St. Mary’s Church Battersea where William Blake got married Catherine Boucher in 1782. The finished film will premiere in the East End Film Festival which runs from 23rd June – 3rd July.